1Cook spaghetti according to package directions; drain well and set aside. 2In a large skillet, combine pasta sauce and meatballs. Bring to a boil over high heat. Reduce heat to medium-low; stir well, cover, and simmer 12 to 14 minutes or until meatballs are heated through, stirring once. 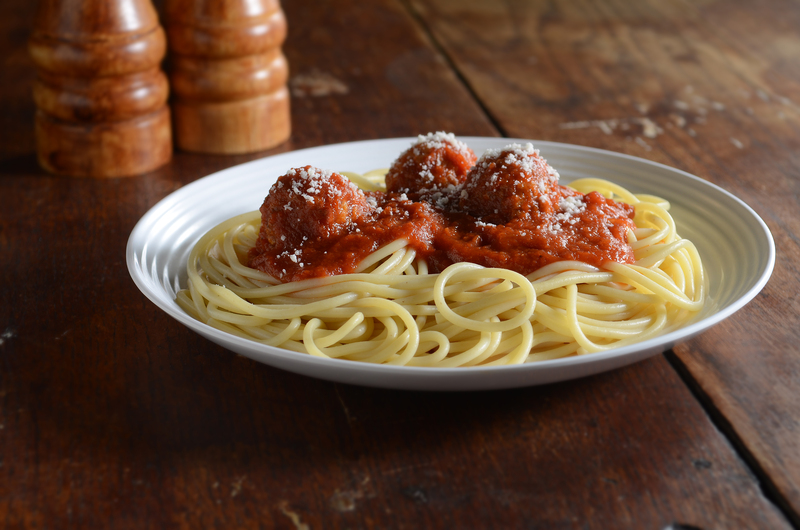 3Add cooked spaghetti to a large platter or bowl, top with meatballs and sauce; garnish with grated Parmesan cheese. Cook’s Tip: Jazz up your jarred pasta sauce by adding fresh or frozen vegetables, red pepper flakes, extra garlic, or whatever flavors your family loves. Serve this dish with a green salad and warm crusty bread for a complete meal.